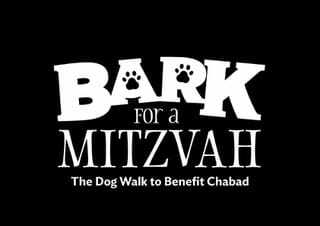 Bark for a Mitzvah is a Dog Walk to Benefit Chabad* - May 5th 2019 at 10am. Your mitzvah can impact the world around us. We learn from dogs how to sniff out the holy within the mundane. Bark for a Mitzvah seeks to uncover the sparks of goodness and kindness within our community.